Southeast Asia experienced recording-breaking temperatures in April 2016. Scientists at the University of Texas, Institute for Geophysics (UTIG), who studied the extreme weather have attributed this to the combined effect of global warming and El Nino. Their research revealed that while El Nino triggered the heat, global warming pushed the temperatures to a record-breaking level. “The El Nino system primes mainland Southeast Asia for extremes, although long-term warming is undoubtedly exacerbating these hot Aprils," said UTIG postdoctoral fellow Kaustubh Thirumalai, who led the study. El Niño is a climactic change affecting the tropical Pacific region, usually bringing warmer temperatures to Southeast Asia in April. In 2016, temperatures rose to record levels in most of Southeast Asia including Cambodia, Thailand and other countries. Down To Earth and Centre for Science and Environment (CSE) has done a detailed coverage on how India has been getting warmer continuously, consistently and rapidly. 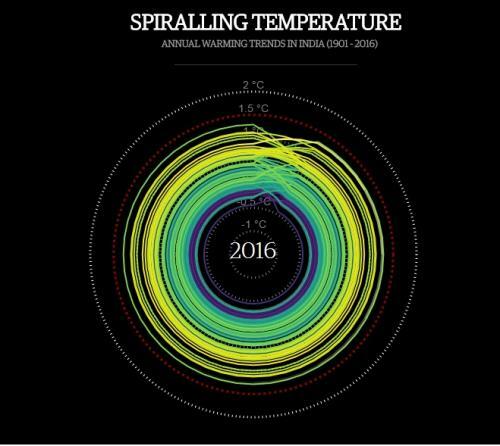 The CSE researchers have plotted this rise in temperature on an animated spiral—the first such visual representation to come from India. A year earlier in 2015, a strong El Nino caught the attention of researchers, who used statistical techniques to study how it contributed to temperature increase. They found that it was not consistent while the impact of global warming was steadily increasing over time. Model predictions for the next fifty years indicate predict a grim future. “Because of long-term warming, even a weaker El Niño than the 2015-16 event in the mid-to-late 21st century could cause bigger impacts,” said co-author Pedro DiNezio, who is a research associate at UTIG. 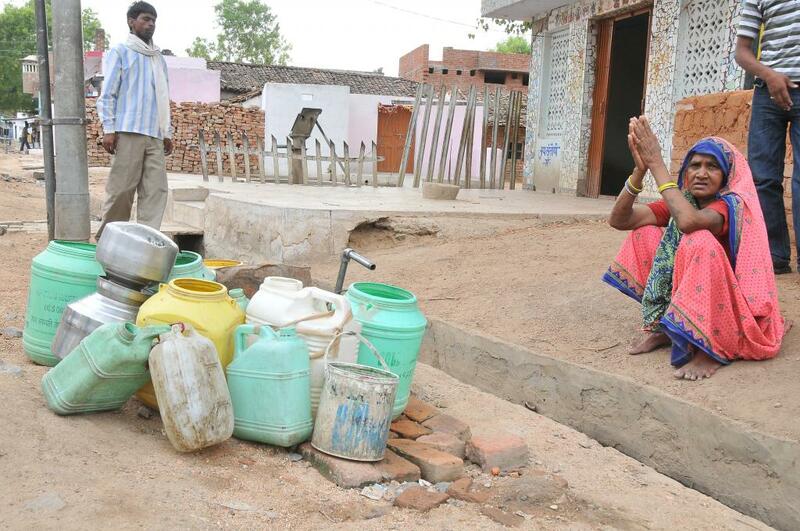 “The silver lining is that these can be predicted a few months in advance since they happen after the peak of an El Niño,” Thirumalai said.